Michael Mugmon is a partner at the law firm of Wilmer Cutler Pickering Hale and Dorr LLP in Palo Alto, California. His practice focuses broadly on crisis management for companies and individuals facing significant regulatory actions and litigation. Specifically, Michael regularly conducts internal investigations into potential misconduct, defends clients in government enforcement actions involving the U.S. Attorney's Office, the U.S. Securities and Exchange Commission, the California Department of Justice, and the Financial Industry Regulatory Authority, and handles complex commercial and securities litigation in federal and state court. He has experience in matters related to financial fraud, breach of fiduciary duty, accounting irregularities, anti-money laundering, insider trading, the Foreign Corrupt Practices Act, compliance and risk management, internal controls, and disclosure issues. Michael joined the firm's Washington, D.C. office in 2003 and moved to the San Francisco Bay Area in 2007 as a founding member of that office's government investigations and litigation practice. The Daily Journal recently named him one of California's top 20 lawyers under 40. 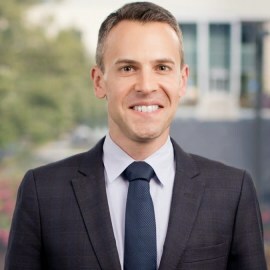 A graduate of the University of Pennsylvania Law School, Michael also serves on the firm's Pro Bono and Community Service Committee and Ethics Committee, as well as on the Palo Alto office's Hiring Committee.